South Korean boy band BTS released a music video Thursday featuring Nicki Minaj. The K-pop stars teamed up with the 35-year-old American rapper on an alternate version of their single "Idol." The new "Idol" video features the same colorful backdrops as the original version. Minaj appears in the second half of the video wearing a neon wig and a bright patchwork ensemble. "#BTS #Love_YOURSELF 'Answer' Official MV #IDOL #Feat_NickiMinaj," BTS' agency, Big Hit Entertainment, announced on Twitter. The "Idol" version with Minaj appears on the digital version of BTS' new album, Love Yourself: Answer. The group released the album and the original "Idol" music video Aug. 24. BTS kicked off its Love Yourself worldwide tour Aug. 25 in support of Love Yourself: Answer, and performed Wednesday and Thursday in Los Angeles. "Thank you, LA!" the group tweeted following its concert Thursday. 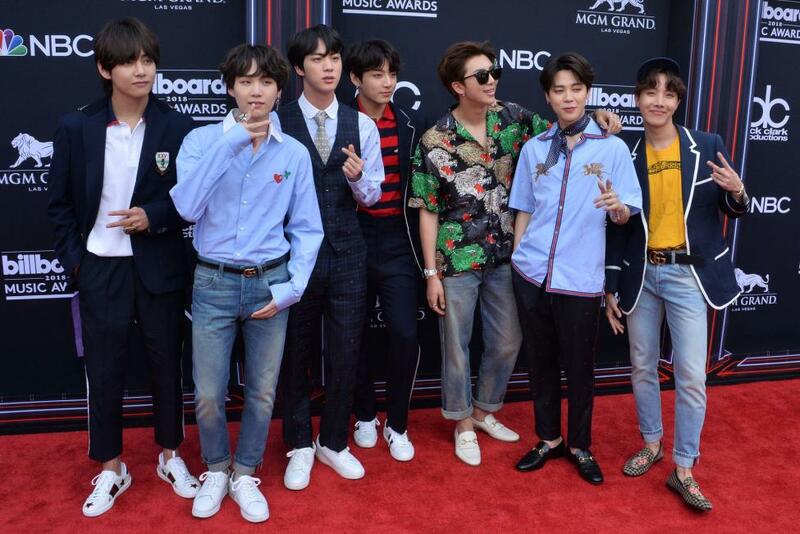 BTS will perform Friday and Saturday in Los Angeles before moving on to Oakland, Calif.